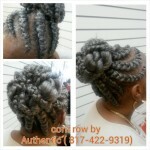 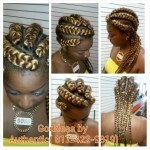 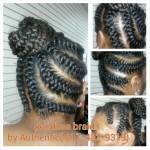 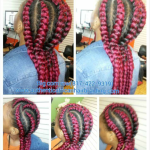 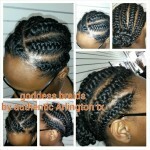 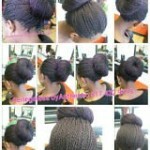 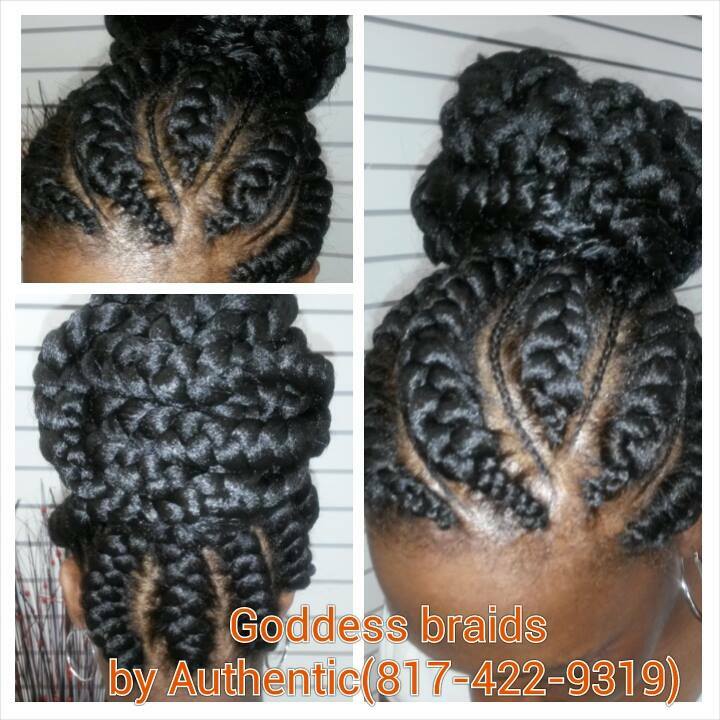 Goddess braids are great for special occasions or for anyone who likes a fancy up do. 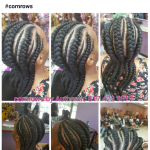 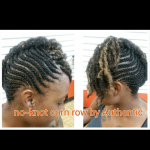 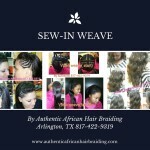 These braids usually involve large cornrows twisted up into a bun or knot, often adorned with smaller cornrows. 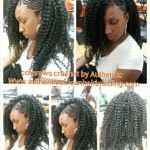 Other times the style is large cornrows in a cornrow pattern.